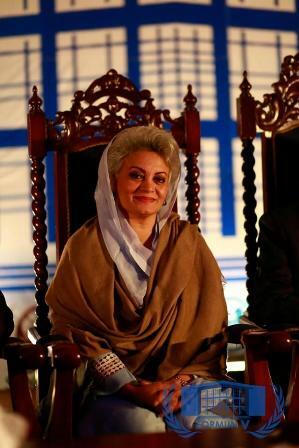 The closing ceremony of FORMUN V was graced by Mussarat Misbah, one of Pakistan’s leading Business Women, who has 35 years of experience in the beauty industry and harbors a philanthropic soul. Participants benefited from her expertise and experience. Each guest spoke regarding their profound experiences and encouraged the students to focus on values of universalism rather than individualism. FORMUN offered more than just a simulation of the United Nations- it offered an experience of cultural integration, awakening of one’s own potential and an introduction to seeing the same world from a number of different perspectives.